Cheat India has been changed to “Why Cheat India” after the Central Board of Film Certification (CBFC) expressed concern over it, the makers have said. The title of forthcoming Bollywood film Cheat India has been changed to “Why Cheat India” after the Central Board of Film Certification (CBFC) expressed concern over it, the makers have said. A statement issued on behalf of the film’s producers — T-Series Films, Ellipsis Entertainment and Emraan Hashmi Films — read: “The CBFC had concerns about the title ‘Cheat India’. We had an extensive conversation with the Examining Committee and Revising Committee regarding the proposed change as the film has been in public domain for a year, and more importantly, because the theatrical teaser, trailer and television promos had already been certified with the original title. 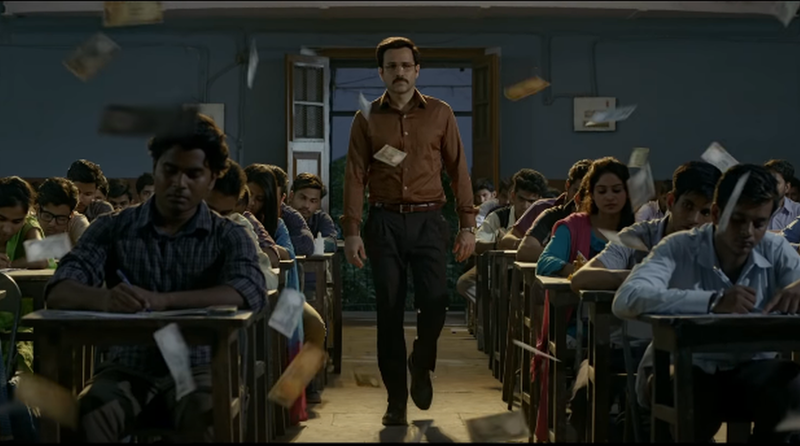 “Why Cheat India” is about the education system. It is actor Emraan Hashmi’s first production project. He features in the project alongside actress Shreya Dhanwanthary.